In Hindu mythology, the powerful sage Agastya slurps up the sea and then spews or urinates it out, making it salty. Thousands of years ago, the answer to a child’s question of why the sea is salty would elicit some creative and curious explanations. Before Google was around to explain that dissolved salts in rivers and surface runoff flow into the ocean and saline emissions pour out of deep-sea hydrothermal vents, people around the world were crafting more magical explanations. Here are five myths that seek to make sense of why the sea is salty. Grinding a millstone all day is the ancient equivalent of doing load after load of laundry. You’re going to get sick of the monotony. And fast. It doesn’t help if you have an overbearing, unappreciative boss who balks when you try to take a break. Such was the reality for a pair of enslaved Nordic giantesses, Fenja and Menja, who were forced to use a magic millstone to grind out wealth and happiness for King Frodi without ever being granted a break. Fed up, they cursed the king and ground out an army to grind him to a pulp with the help of a sea king. The sea king then took the giantesses and the magic millstone aboard his ship and asked them to grind salt—so much so that the ship sank, dumping all its salty cargo into the ocean. She would have been a nightmare of a mother-in-law. When the wealthy woman who ran a profitable salt-producing cave learned that Marag-sa-tubig, the son of a sea god, wanted to marry her daughter, Aliwan, she wasn’t willing to offer a discount on the dowry. Instead, the greedy woman demanded 100 boatloads of gold in exchange for Aliwan’s hand. Desperate, the would-be groom called on his would-be best man, the monsoon god, to wreck any gold-carrying ships and send the glittering cargo into the sea god’s kingdom where it could be collected for the dowry. In a cruel twist, Aliwan was on board one of the ships that sank. Distraught, Marag-sa-tubig forgot to tell the monsoon god to turn off the tap and the storm continued, eventually causing the sea to sweep over the salt-producing cave, turning the seas salty forever. Three friends hanging out, doing some body painting—what could possibly go wrong? Plenty, it turns out in this tale from the Gamalanga tribe in Australia. A bush cockroach had beautifully painted a lizard’s sinuous body while a wallaby looked on. But when it was the lizard’s turn to paint the cockroach, he did a slapdash paint job, infuriating the cockroach, who urinated everywhere and turned almost all the fresh water salty. The only reason we have any fresh water today is thanks to the wallaby, who had removed some water in a cup for himself earlier. Before there were Bloods and Crips, there were gods and demons. During one battle in Hindu mythology, the demons retreated to their hideout under the sea, which the gods couldn’t reach. Not a group to give up easily, the gods called in the powerful sage Agastya, who drank up the entire ocean, exposing the demons who were swiftly taken down by the gods. At the end of the battle, it was time to put the ocean back where it belonged. Whether Agastya urinated or spewed out the ocean, the ocean has been salty ever since. No one likes to run out of salt when they have food to prepare, especially when the closest source is across the stormy sea. Such was the predicament for villagers on an island near the Philippines who usually boated to a neighboring island to collect the essential cooking ingredient. Not keen on cutting back on sodium (and flavor), one villager had the brilliant idea to ask the local friendly giant to lend a hand—or rather, a leg. The giant agreed to stretch his leg and make a bridge to the other island, sitting down so the villagers could troop over the violent sea. Unfortunately, the giant’s foot had landed on an ant colony; when the insects started biting, he implored the villagers to hurry back. But just as the villagers were running back with bags of salt, the pain overwhelmed the giant. He moved his leg, and the villagers and the salt fell into the sea. The giant saved the people, but the salt dissolved into the sea, making it salty. 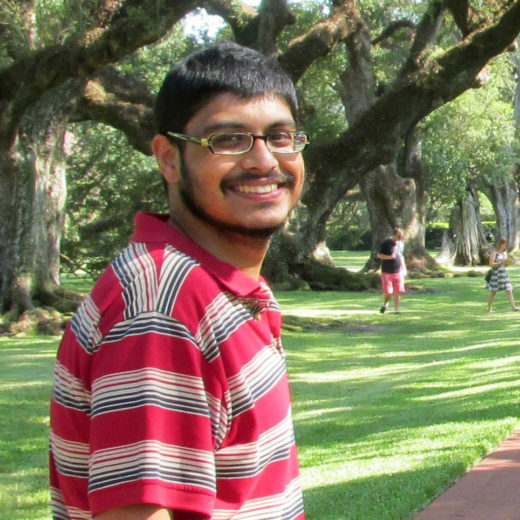 During the day, Adityarup “Rup” Chakravorty works as a science writer at the University of Wisconsin-Madison. Once the Sun goes down, he morphs into a freelance writer with a special interest in the biological and natural sciences. Cite this Article: Adityarup Chakravorty “Why Is the Sea Salty?,” Hakai Magazine, Jan 19, 2017, accessed April 25th, 2019, https://www.hakaimagazine.com/article-short/why-sea-salty/.